Wholesale cheap expandable baton for sale. 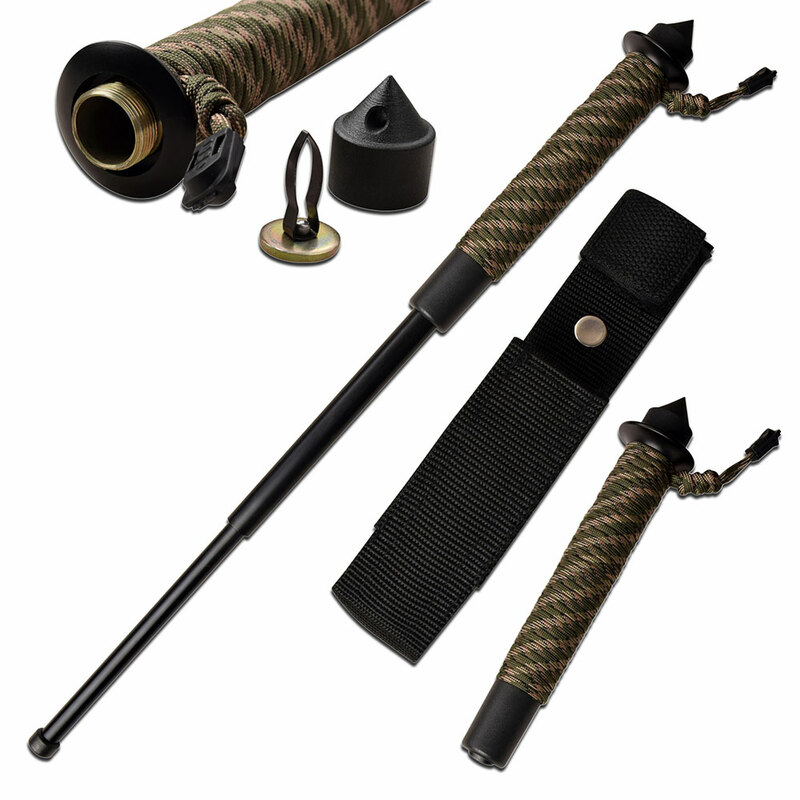 Our new tactical baton is awesome as it is manufactured from heavy duty stainless steel material. This is a lethal baton as it has a skull breaker handle tip. Top quality self-defense baton. The handle is wrapped with 550 paracord with gives a very firm grip. Nylon pouch is included.